No Kid Hungry is the official charity partner of Wanderlust 108. For more information, click here. Childhood hunger is an urgent issue. In the United States alone, 13 million children struggle with finding enough to eat. This means that one in six kids don’t get the food they need. No Kid Hungry is an organization that works to end childhood hunger in the United States by helping children gain access to nutritious foods and teaching families how to cook healthy meals at an affordable cost. This year, Wanderlust 108 has teamed up with No Kid Hungry to help to alleviate this widespread problem. $1.08 of every Wanderlust 108 ticket purchased goes directly to No Kid Hungry, a donation which provides a child in need with up to 10 meals, and from March 1 through December 31, 2017, Wanderlust will donate a minimum contribution of $75,000 to the organization. No Kid Hungry’s efforts fall in line with the idea of “seva,” or selfless service. Seva refers to work which is done without any interest in personal gain or reward. In India, seva is a practice in which one serves to benefit their community and foster spiritual growth. Considering those who are less fortunate is a vital practice and helps our community to thrive. When children don’t get the fuel they need to learn and play, they cannot realize their full potential. No Kid Hungry allows every child a chance to thrive, and just a small contribution makes a world of difference. When kids don’t have to think about food, they can focus on school, sports, and play. But when food becomes the primary concern, these things fall to the wayside. 17.2 million households in the United States, 3.9 million of which include children, do not have access to nutritionally adequate and safe food. These households are staggeringly more likely to be Black and Hispanic, those near or below the federal poverty line, and/or led by single parents. Childhood hunger isn’t isolated to inner cities and rural communities. It affects kids and families in every city, town and suburb. Ending childhood hunger isn’t just the right thing to do; it’s the smart thing to do. When kids get regular healthy meals they do better on tests, have fewer discipline problems, have fewer health problems and are more likely to graduate. A healthier generation of kids means a stronger workforce, a stronger economy and a nation better able to compete in the global marketplace. No Kid Hungry believes that everyone has a strength to share in the fight against hunger. The organization works with local organizations, stakeholders, policymakers, and individual supporters around the country, to generate the will and skill to help communities feed children in need every day of the year. 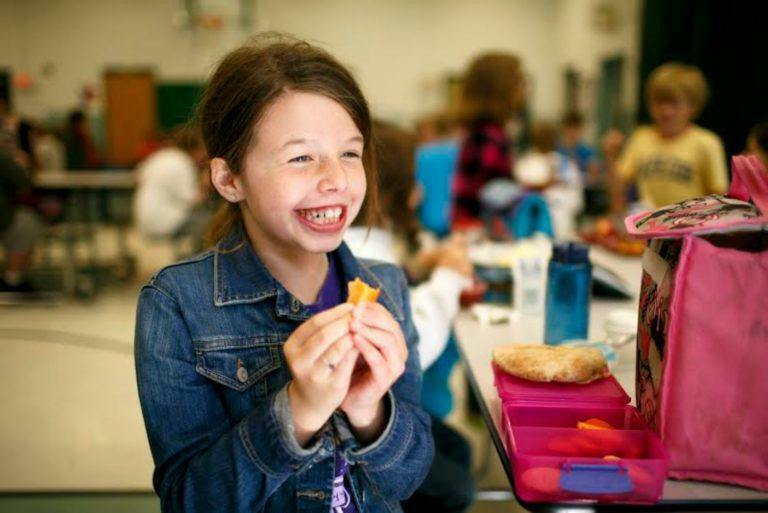 Since its launch in 2010, No Kid Hungry and its partners have connected kids struggling with hunger to more than 500 million meals nationwide. So what can you do to help? Donations to No Kid Hungry help to fund programs so that kids can get access to healthy meals. Your support helps to establish local programs such as summer meals and school breakfast so that kids can get the nourishment they need every day. Your contribution also helps to fund programs for low-income families to learn to cook healthy, affordable foods. Every bit counts. Just $1 can provide up to 10 meals. $25 helps to provide a month’s worth of after-school snacks for one child. $50 helps to give a family $900 in food assistance to make healthy meals at home, and $100 helps to provide a child with meals for three months. Donate and get involved at NoKidHungry.org. For more information on the Wanderlust 108, click here. The post No Kid Hungry: Nourishing Our Nation’s Youth appeared first on Wanderlust.